Fact-checking Breaking Bad: How do you really dispose of the poison ricin? How Do You Really Dispose of Ricin? Walter White (Bryan Cranston) in last night’s Breaking Bad. Photo by Ursula Coyote © AMC. In an early scene of Sunday night’s Breaking Bad, Jesse Pinkman freaks out over a lost cigarette containing a tiny vial of ricin, a poison made from castor beans that can kill you if ingested. 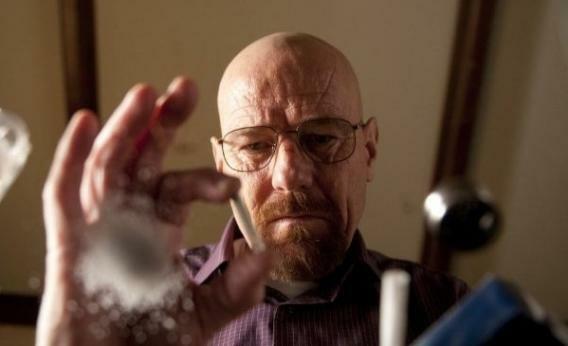 Once Jesse thinks he’s found the vial, Walter White pretends to dispose of it by flushing it down the toilet. How do you really dispose of ricin? There are a few ways. One is to put the poison into an autoclave, a steam-utilizing machine used by doctors and dentists to sterilize instruments. According to the Centers for Disease Control and Prevention, ricin can be inactivated by heat above 80 degrees centigrade. The pressure and heat produced by an autoclave would do the trick. Another option is to soak the ricin in a solution of sodium hypochlorite, or bleach. The bleach would oxidize the toxin, chemically modifying it so it’s no longer active. (Both of these processes are outlined in the CDC’s Biosafety in Microbiological and Biomedical Laboratories manual.) Once de-activated, the ricin would be disposed of—sometimes by incineration. Ricin has been a part of Breaking Bad lore since the second season, when Walt cooked up a tiny batch in a failed plot to kill psychopathic meth dealer Tuco. As he explains the chemical’s properties to Jesse, Walt mentions a 1978 incident involving a Bulgarian journalist dying from ricin poisoning. It was a true story: Another man (possibly a KGB agent) purportedly used an umbrella to shoot the toxin into the journalist’s leg, and a coroner found that the man had been poisoned by ricin. Ricin was also back in the news this past fall when four Georgia men—all over 65—were accused of planning to use the poison in a terrorist attack. On Sunday night, after Walt flushed the faux ricin down the toilet, I wondered if he wasn’t doing a good job covering his tracks. What if Pinkman Googled “ricin” and found out that flushing it was totally unsafe? While it’s not an ideal method, disposing of a miniscule amount of Ricin via the toilet wouldn’t be cause for panic. In those environmental conditions—the sewer system or a septic tank—the toxin would soon degrade and no longer pose a threat to the public. Thanks to Dr. David Wunschel of the Pacific Northwest National Laboratory.